A big wood barrel planter is so welcoming at the end of a driveway, on a front porch, deck, or patio. Unfortunately those expensive buggers start to crack and rot a few years after you buy them. 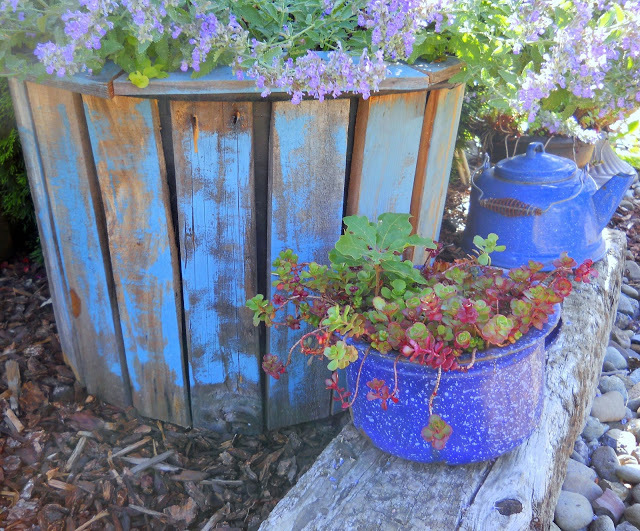 If only there was a way, to get a lasting wood barrel planter look for less. Then we can get down to the business of buying and growing pretty plants and not replacing their planters every other year. There is something to say for a lasting rustic garden like this one. I'm not a cooper (barrel maker) so I can't keep myself in a steady supply of affordable barrel planters and I suspect you aren't one either. However, Make the Best of Things sorta is and created the wine barrel planter look for a whole less - as in FREE! I like free. Free is good. 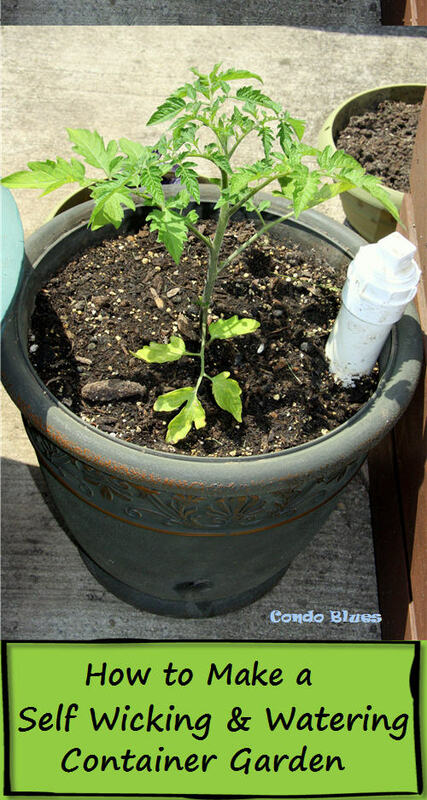 I think this is a terrific way to dress up my self watering planter made from a plastic storage tub!